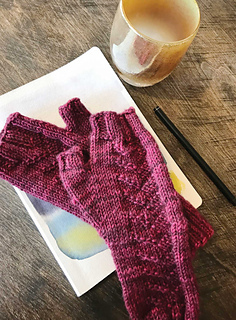 “But in Your eyes there’s only grace now.” This particular line from Lauren Daigle’s song, How Can It Be inspired the name for these fingerless gloves. I’ve been choosing grace and reminding myself of that daily. 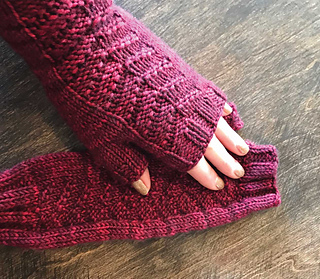 The pattern is written for either sport or worsted weight yarns, and the worsted version is a quick gift knit too! Notes: Instructions are written for fingerless gloves that are worked in the round. 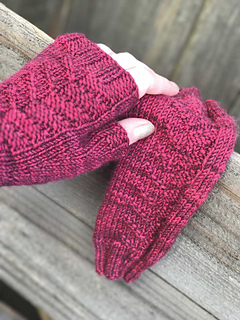 Pattern is written for either sport or worsted weight yarn, with two different lengths. A chart is provided on the last page.